Sponsors: Agency for Cultural Affairs, Epiphany Works, Ltd. Installations using lacquer work, traditional craftwork incorporating IoT, collaborations between AI and artisans… This exhibition and talk session introduce the latest information about the seven ongoing projects that were first proposed at the KOGEI HACKATHON 2017 held in Takaoka City in Toyama Prefecture. The participating teams of the KOGEI HACKATHON 2017 are still producing works and prototypes, as well as, working on various projects. This exhibition showcases all of them in one venue, with the presented works spanning a diversity of genres from installations and artwork to products and services. The Talk Session featured a panel of the two judges from the KOGEI HACKATHON invited as guest speakers, and some of the participating team members. 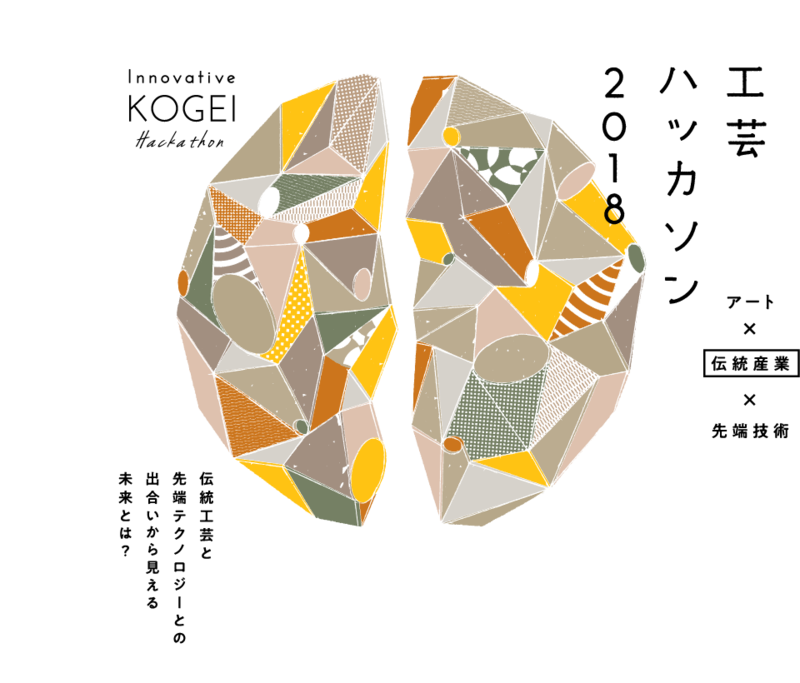 The panel will discuss the fusion of kogei with a range of fields from here on, possible new movements and other potential activities generated from such collaborations. A graduate of the School of Commerce at Waseda University, Chiaki Hayashi obtained a master degree in journalism from Boston University. 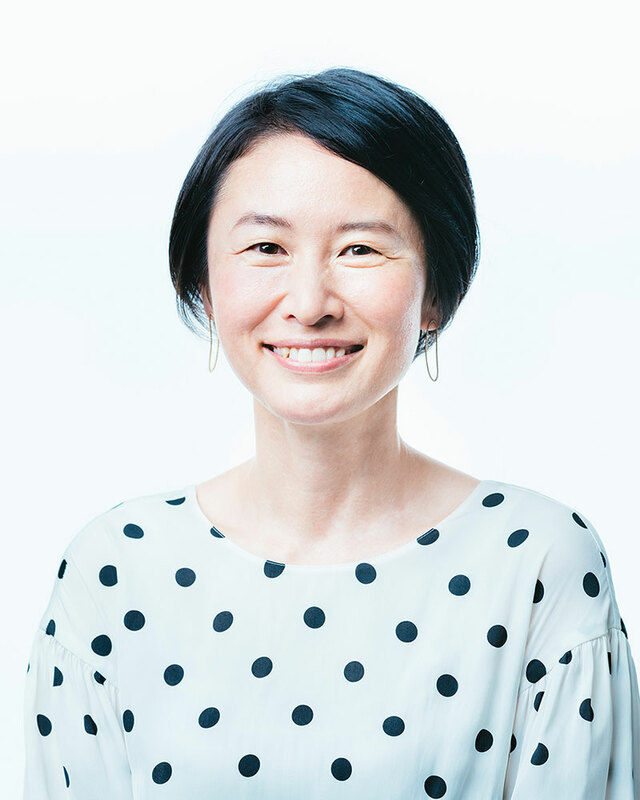 She founded Loftwork Inc. in 2000, and the company currently handles over 200 design projects annually in various fields including a Web, business, community, and spaces. Her publications include "Share wo Design Suru" (Designing shared spaces) and "Web Project Management Standards." Loftwork runs the global digital monozukuri cafe FabCafe and the co-working facility MTRL that focuses on materials, as well as other projects. Hayashi also serves as the Japan Liaison to the MIT Media Lab director, and as a member of the Good Design Awards Screening Committee. In 2014, she established the company Hida no Mori de Kuma wa Odoru (Bears Dancing in the Hida Forest; abbreviated as Hidakuma), in Hida City in Gifu Prefecture. Hayashi is the CEO of the public and private joint enterprise Hidakuma, which aims to create local industries through monozukuri (manufacturing) and forest regeneration. Born in 1969 in Tokyo, Seiichi Hishikawa moved to New York in 1991 and worked there for several years. He then returned to Japan and co-founded the design studio DRAWING AND MANUAL Inc. in 1997. 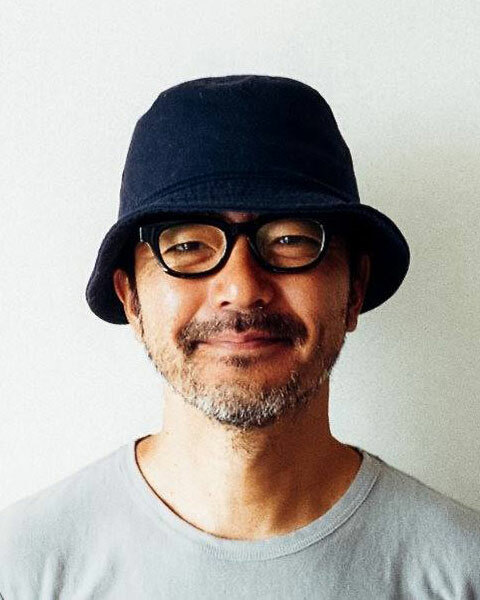 Hishikawa has worked as a director and screenplay writer for short- and feature-length films, photographer, director of TV commercials, and art director of TV dramas and programs. His main works include: art director of the long-running historical drama series on NHK, Komyo ga Tsuji, Yae no Sakura, and the NHK drama Saka no Ue no Kumo, etc. ; directing music videos for dj honda, Ryota Fujimaki, K, HY, and other artists; directing corporate advertisements and TV commercials for Sony, Honda, Panasonic, NTT DoCoMo, P&G, Tiffany, and Pola, etc. Hishikawa directed the Mori no Mokkin (Forest Xylophone) TV commercial for NTT DoCoMo, which won over 20 international awards including CANNES LIONS. Born in Takaoka City in Toyama Prefecture, Sari Hayashiguchi graduated from the Department of Chinese at the Tokyo University of Foreign Studies. She decided to work in art and on projects after encountering modern art while studying abroad in London. 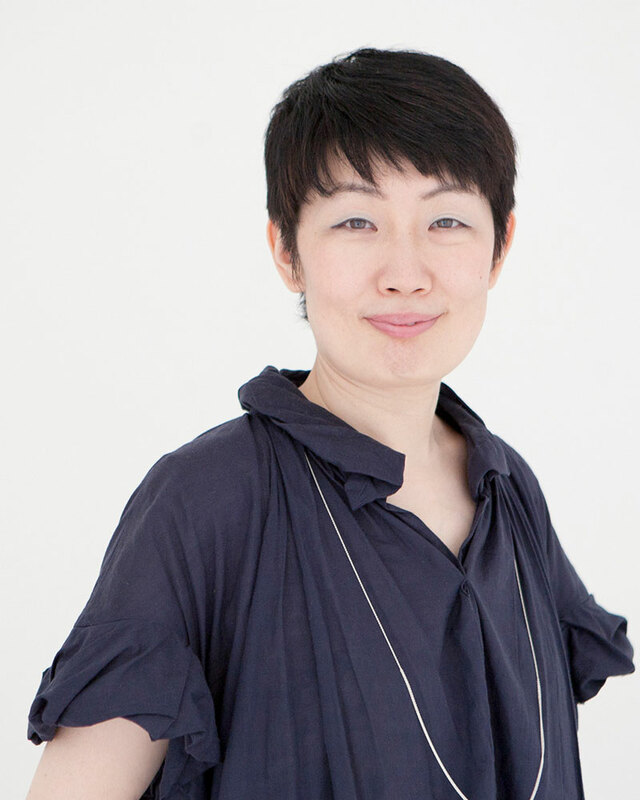 After working at the Tokyo Design Center, P3 Art and Environment, and at other organizations, she founded Epiphany Works LLC in 2005. Her works include: the Alma Music Box collaborative project between the National Astronomical Observatory of Japan and various creators; the contemporary temple school School Nalanda, which invites lecturers from a diversity of fields including Buddhist monks, artists and scientists; planning and producing a wide range of projects connecting a wide range of fields from modern art, music and design to Buddhism and science. In 2012, Hayashiguchi relocated the company’s base to Takaoka City in Toyama Prefecture. Since then, she has been working on numerous projects to promote monozukuri and town revitalization in the region, including producing the KOGEI HACKATHON where traditional crafts meet advanced technologies. ◎ Prior registration required. Places are available on a first-come-first-served basis, until the maximum capacity is reached. The reception party is a chance for visitors to mingle with participating team members of the KOGEI HACKATHON and the invited guest speakers of the talk session. Anyone is welcome to attend this event. Kogei Workshops (make-your-own experience) will be held with the attendance of invited artisans in metalwork and mother-of-pearl inlay work, which are traditional industries of Takaoka City in Toyama Prefecture where the KOGEI HACKATHON 2017 was held. Create your own originally designed chopsticks or accessories (necklace, earrings, pierced earrings, mobile phone straps, etc.) using mother-of-pearl inlay. ※The items will be ready to pick up about one hour after the workshop, once the coating has been applied and dried. Experience glittery mother-of-pearl nail art using abalone shells. 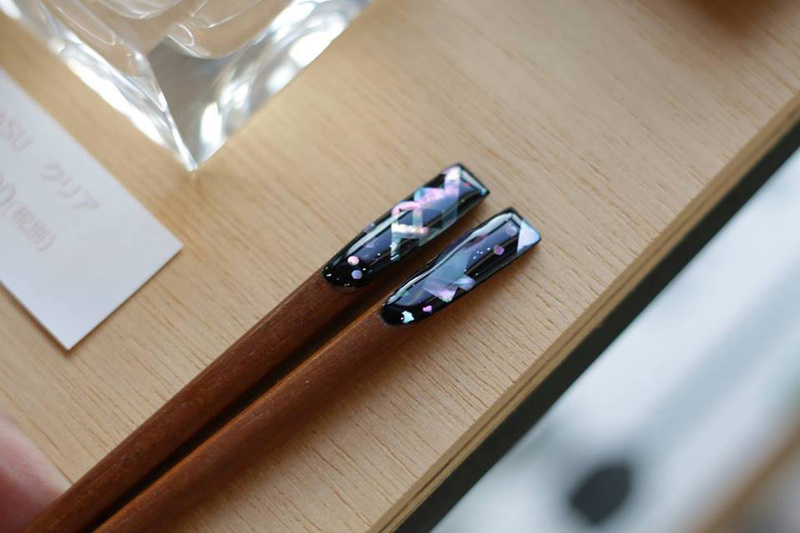 A professional nail artist will apply 0.1mm thin pieces of abalone shell to your nails, creating unique mother-of-pearl nail art, using techniques exclusive to Takaoka. 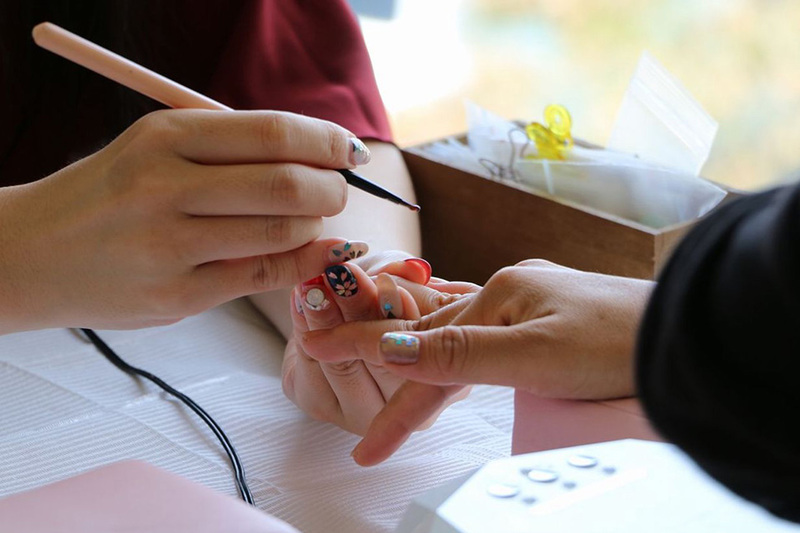 ※You can also add on options for nail care or gel nails while getting the mother-of-pearl nail art on the day. In this workshop, you will use an iron hammer, using a design you like, to create your own paper-thin and highly malleable tin plate. There will also a brief lecture on tin and metal hammering techniques. ◎ No advance reservation is required. ◎ Only a certain number of people can be accommodated during a workshop session, so you may be asked to wait until a place becomes available. ◎ Please pay the workshop fee, in cash, on the day. 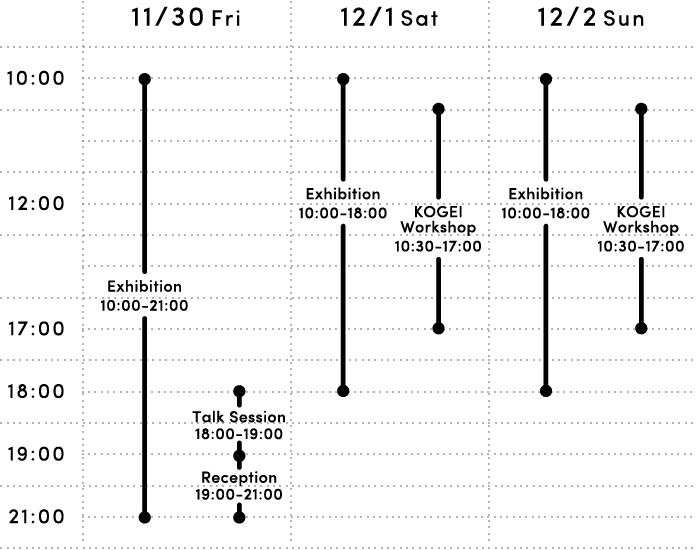 Participating team members of the KOGEI HACKATHON will explain their exhibited works, and elaborate on points they weren’t able to fully explain during the exhibition. They will also be available to answer questions. Sponsors：Agency for Cultural Affairs, Epiphany Works, Ltd.
Cooperation from：Toyama Prefecture, Takaoka City, University of Toyama, TOYAMA DESIGN CENTER, Takaoka Design & Craft Center, KDDI Corporation, EDGEof, Inc.
Inquiries：KOGEI HACKATHON Secretariat, Epiphany Works, Ltd.